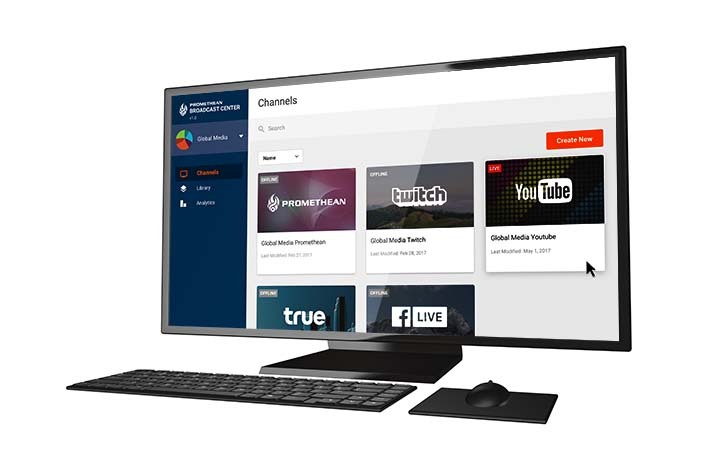 “Just like in the music industry, the business models for telecoms and content producers will be turned upside down by new technology in the next ten years,” predicts Ian Sharpe, CEO of video overlay platform Promethean TV. Already a $37 billion market, online video is predicted to become central to this sea change with video traffic comprising over 80% of all consumer online traffic by 2021. But monetising live-streamed video is a challenge. Ad blocking on online video is forecast to cost $35 billion in lost revenue by 2020 and while video takes up the largest percentage of traffic on a CDN, it contributes the least amount of profitable revenue. To this end, Promethean TV has a unique perspective on how to make video pay in this brave new world: a product that is player agnostic and one that creates a real-time feedback loop for advertisers. “We think of it as augmented advertising,” Sharpe quips. The start-up’s core technology is an interactive layer for digital video, ‘clickable overlays’, which deliver what Sharpe makes sound like both the ad man and the couch potato’s dream. “Imagine watching your favourite sports team, ordering pizza, getting live fantasy updates, buying your favourite player’s jersey, all while never missing a moment of live action,” says Sharpe. Sharpe adds that the Promethean TV platform delivers overlays to the video player via a web instead of a client-side http ad request, the latter of which can be easily blocked. NEXT-GENERATION TV Customers are now able to get actively involved in watching TV without missing any of the action. 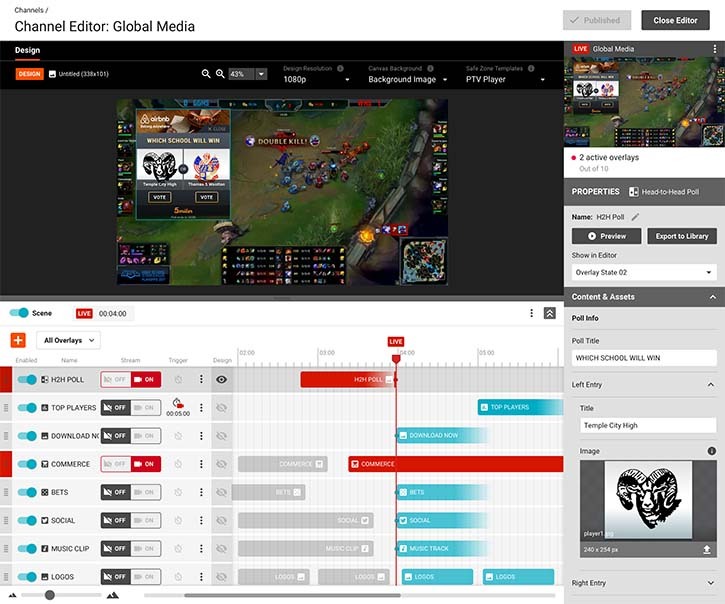 Promethean’s founding team, including Sharpe, all hail from eSports streaming company Azubu, where they witnessed first-hand how broadcasters were unable to monetise effectively through video, and how brands were unable to drive a measurable return from the space. Their fledgling company is named after Prometheus, the Titan who in Greek mythology stole fire from Olympus and gave it to humankind. Sharpe’s aim, he says, is to “ignite video commerce”. The firm’s beachhead customer is Thai telco True, part of the CP Group, which is about to roll out a new retail-based loyalty platform called True Privilege, built with the support of Thailand’s leading retailers. True customers can earn points by visiting partner retailers such as 7-Eleven, and points can be redeemed on more items or by watching movies on the True network. “It’s about offering our customers that next-generation television experience. Our customers won’t always want to passively watch television, they’ll want to actively be involved,” he adds. According to Sharpe, early feedback on the platform has been positive, with click through rates of up to 56%. The platform’s price structure offers a revenue share model for companies seeking to predominantly drive sales, or a licence model for companies aiming to foster engagement first. “We only charge for overlays used, so an individual streamer can garner as much benefit as a massive national broadcaster,” he adds. The CEO says that the company’s roadmap for 2018 involves “finding the right investors and/or strategic partners”. 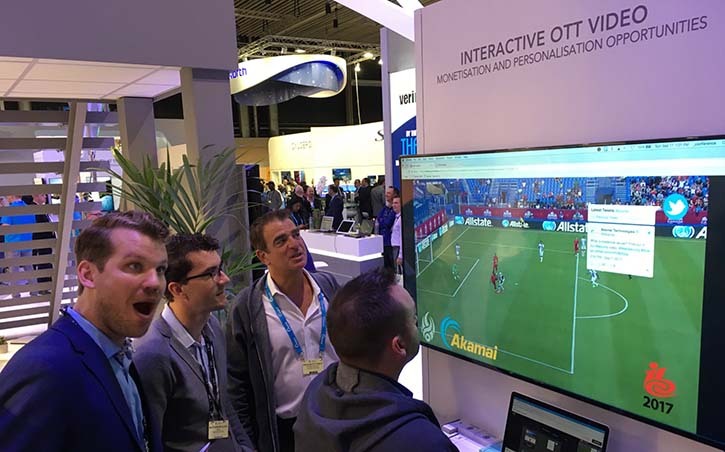 The firm was invited onto cloud delivery giant Akamai’s booth at IBC last year to exhibit as part of the CTO’s Innovation Showcase and, according to Sharpe, this has opened up potential integrations with worldwide partners that the firm is currently exploring.